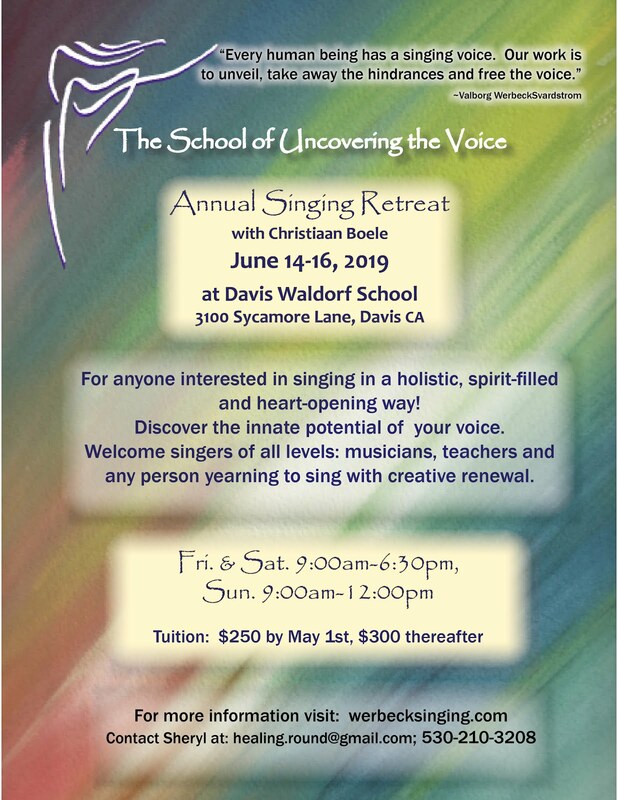 Why attend the Open Singing Retreat? In various areas of our lives, many of us are now looking for healthier and more holistic approaches and we are feeling a new sense of responsibility for realms such as nature, food, clean air, clean water, etc. Until recently, people have taken both their speaking as well as their singing voices for granted, as if they come for free and do not require any nurturing. The renewing thought which the School of Uncovering the Voice brings is that we need to take care of our voices in different ways than was done in earlier days. How can we develop our precious, own instruments according to the needs of our times? In earlier eras of humanity, the singing voice was a central issue in life. Now our capacity is shrinking rapidly. We need caring ways of expressing ourselves through our voices and to realize: Through my voice, I express my whole being and by singing, I affect my overall balance and health. This can be done by the exercises given by Valborg Werbeck Svardstrom, who shows us easy ways to build up relation to all the basic elements needed for singing and care of the voice. In a joyful way, we try to experience the musical world as well as to understand the background of our doing; embracing both practicality and understanding. 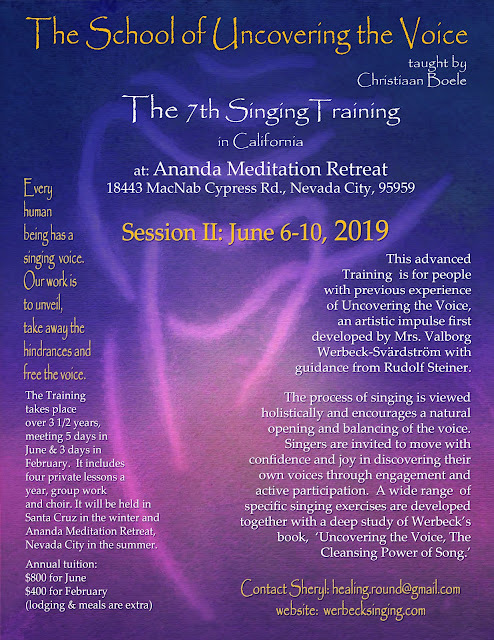 Werbeck states that if there would be more singing and more righteous singing in our world, the criminality would decrease. This thought can be understood as follows: Being with our voice connects us to more pure parts of ourselves and develops that what we may as human beings want to become (our more realized selves). The Open Singing Retreat provides a safe, welcoming and deeply renewing space in time to do all of this and more. It is not only for trained singers, but it is also for people who do not yet have faith in their own capacity as singers and who are open to trying new experiences.